75mm Red Diamante Heart Paperweight. A romantic declaration of love. 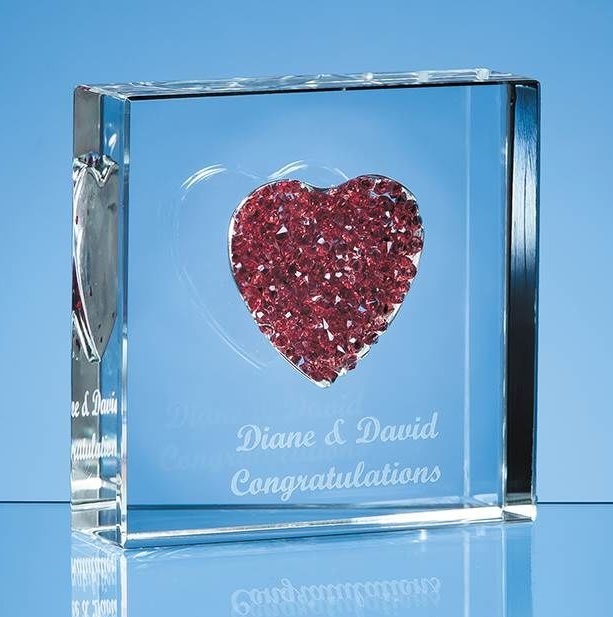 This stunning square crystal paperweight incorporates a heart shaped space embedded with sparkling deep red Diamante crystals. It can be engraved with a name, special date or romantic message. A memorable way to say I love you for St Valentines day a bridal shower wedding day birthday or anniversary - it comes complete in its own presentation box. All text engraving charges are included.